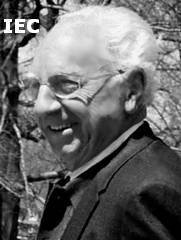 Born: 2 August 1894, San Francisco, USA, as Harold Leon Mohr. Died: 10 May 1974, Santa Monica, Calif., USA. Career: As a teenager he built his own camera and shot some local events. 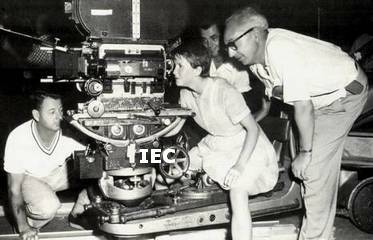 The Motion Picture Patents Company, controlling the patent on the loop mechanism in cameras, confiscated his camera. In order to perfect his knowledge of photography, he became photo finisher in the lab of portrait ph Otto Boyer. Joined Sol Lesser's General Films as newsreel cameraman and ph items for the 'Golden Gate Weekly'. 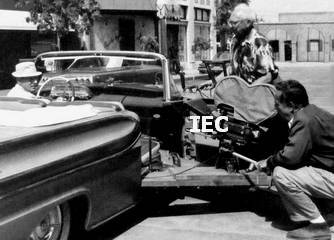 Formed Italia-America Films in Berkeley, Calif., and wrote, prod, dir, ph and ed 'Pan's Mountain'. 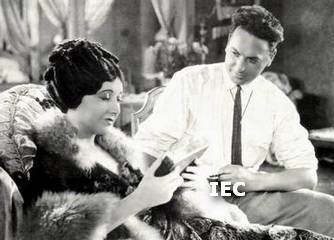 Moved to Hollywood in 1915 and started working as film editor for Universal. 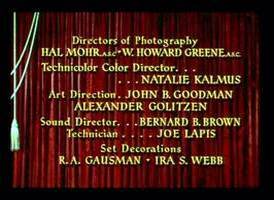 Co-directed [and edited] some films with Ruth Stonehouse and George Bronson Howard. Served in the US Army [1917-18] and went to France as ph in the Signal Corps. After the war ended, he stayed in Paris for almost a year. 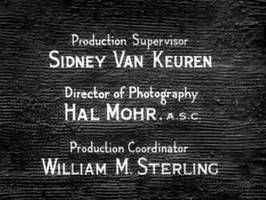 Returned to the USA in 1919, working for the Earl Klasski Company in San Francisco, making doc's and commercials, eventually obtaining work with major Hollywood studios. Was a member and president [1930-31, 1963-65 & 1969-70] of the ASC. 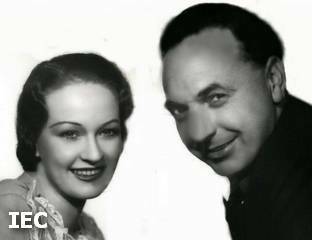 Was married to Aileen Gocher Trine, Claire Delmar [= Clara Eloise Loerch; 1926-29] and actress Evelyn Venable [1934-74]. 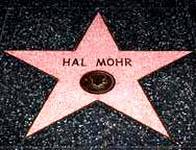 Has a star on the Hollywood 'Walk of Fame'. Interviewee [voice only, 1972] in the doc 'The Man You Loved To Hate' [1979, Patrick Montgomery; ph: Joseph Pipher, Tony Laillard, William Loeffler & Gregg Burton]. Awards: 'Oscar' AA  for 'A Midsummer Night's Dream'; 'Oscar' AA [1943; color; shared] for 'Phantom of the Opera'; 'Oscar' AA nom [1953; b&w] & Golden Globe nom [1953; b&w] for 'The Four Poster'; George Eastman Award . 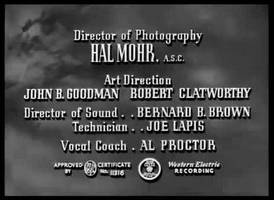 Hal Mohr was an expert at serving the director by creating whatever look or visual effect that director required for his film. He was one of Hollywood's outstanding innovators with regard to photographic technique. 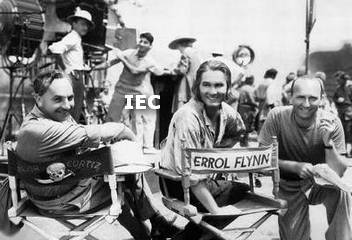 In an era when most film people remained employed by one studio, Mohr jumped from backlot to backlot. A majority of the scores of films he shot during his 50-odd years as a director of photography were made during the sound era, beginning symbolically with 'The Jazz Singer'. Even though the movies had learned to talk, Mohr showed how they need not stop moving. Particularly in 'Broadway', there is startling use of the moving camera: Mohr pioneered the extensive usage of boom and dolly shots, resulting in complicated, dazzling visuals that are among the most stunning examples of early Hollywood expressionism. 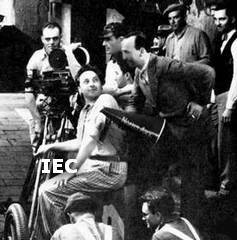 It also was around this time that he designed a camera crane that remained in use for years. By the 1940s and 1950s, Mohr had become a master of creating just the right visuals to mirror a film's mood, whether that mood be eerie [in 'Phantom of the Opera'], solemn ['Watch on the Rhine'], or stark and cool ['The Wild One']. 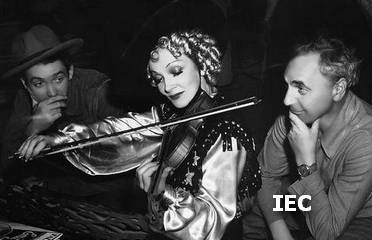 The 1930s, however, was the cinematographer's most innovative decade. In 'Captain Blood', miniatures are flawlessly combined with process shots, and there is effective integration between shots made on the backlot and on location. 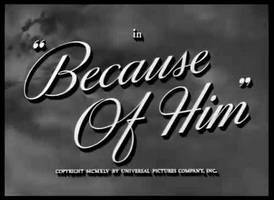 Even more significantly, Mohr experimented with deep-focus photography in 'Bullets or Ballots' and 'The Green Pastures', predating Gregg Toland's work on 'Citizen Kane'. Whatever artistic success 'A Midsummer Night's Dream' achieved is due as much to Mohr's creativity as the direction of Max Reinhardt and William Dieterle. In the scenario, sprites and fairies mix in the same shots with human beings; sequences filmed in real settings are intertwined with those filmed on obviously painted sets. Mohr's cinematography perfectly mirrors this combination of reality and fantasy via his utilization of soft photography and lighting to create an effect that is shimmering - at once magical and romantic. In accepting his Oscar, the cinematographer observed that while working on 'A Midsummer Night's Dream', he had the opportunity to "explore a few of the possibilities of our marvelous art-science," adding that "we must constantly seek new ways of picturing old stories, or we cease to progress." Salomy Jane [Lucius Henderson or William Nigh] b&w; 5-6 reels; cph: Lew Hutt; + co-ed; or ph Arthur Cadwell & Arthur Pawelson; prod California Motion Picture Corp.
Money [James Keane] b&w; 5-6 reels; + co-ed; prod United Keanograph Film Manufacturing Co.
Restitution/The Conquering Christ [Howard Gaye] b&w; cph: Delbert Davis; prod Mena Film Co. The Golden Trail [Jean Hersholt & Lewis H. Moomaw] b&w; 6 reels; cph: Clyde Cook; prod The American Lifeograph Co. The Deceiver [Jean Hersholt & Lewis H. Moomaw] b&w; 5 reels; cph: Clyde Cook; prod The American Lifeograph Co.
Watch Him Step [Jack Nelson] b&w; 5 reels; prod Phil Goldstone Prod. 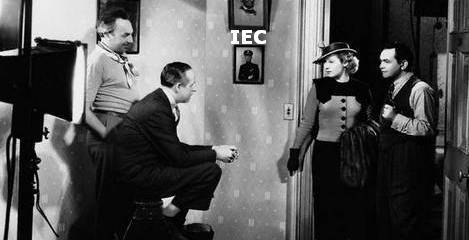 The Unsuspecting Stranger [Ford Beebe & Leo D. Maloney] b&w; 2 reels; prod Malobee Prod. Bag and Baggage [Finis Fox] b&w; 6 reels; prod Finis Fox Corp.
With actress Mae Busch - "A Woman Who Sinned"
He Who Laughs Last [Jack Nelson] b&w; 5 reels; prod Bud Barsky Corp. The Monster [Roland West] b&w + tinted; prod Metro-Goldwyn Pictures Corp. Playing With Souls [Ralph Ince] b&w; prod Thomas H. Ince Corp. The High Hand [Leo Maloney] b&w; 6 reels; prod Leo Maloney Prod. 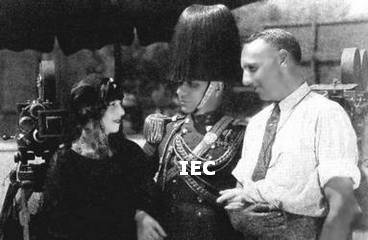 The Wedding March [Erich von Stroheim] b&w + color seq; took over filming, but left after 14 weeks; Technicolor ph: Ray Rennahan; doph Ben Reynolds & Buster Sorenson were also involved; doph Roy H. Klaffki finished the film as photographer associate; shooting was stopped after 9 months and 2 films, 'The Wedding March' & 'The Honeymoon', were ed from the material by Josef von Sternberg; silent & sound (music & sound efx) version; prod Paramount Famous Lasky Corp.
[On dolly] looking up at Michael Curtiz [with megaphone] - "Noah's Ark"
[Right] with Marlene Dietrich and James Stewart - "Destry Rides Again"
[Right] with actress Julie Harris - "The Member of the Wedding"
Danny Kaye - HM [center] - Frank Tashlin - "The Man from the Diners' Club"
* From interview in 'Behind the Camera: The Cinematographer's Art' by Leonard Maltin (1971). 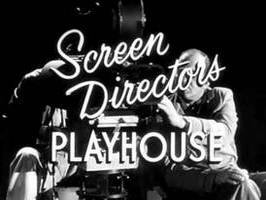 Screen Directors Playhouse [ep #2 'Day Is Done' dir by Frank Borzage, #10 'Rookie of the Year' dir by John Ford & #14 'Hot Cargo' dir by Tay Garnett] 35 (? 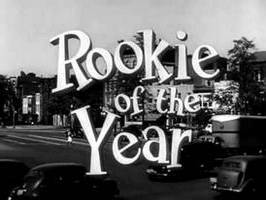 )-part dramatic anthology series/b&w, 1955-56 (NBC-tv); other ph: Ed DuPar, Joseph Biroc, Paul Ivano, James Wong Howe, a.o. [James Michener's] Adventures in Paradise [various] 91-part adventure series/b&w, 1959-62 (ABC-tv); other ph: Maury Gertsman, Lloyd Ahern, a.o. Perils of the Secret Service [9-part serial; co-d: George Bronson Howard & Jack Wells] ph: ?